I’ll take the sea bass; Hold the Feet, please. Realizing flexibility and open-mindedness is the key to a successful overseas expat adventure, Diane and I began recalling some interesting albeit odd occurrences we experienced in Thailand. Having just learned about new rules on income verification for all MM2H applicants (the Malaysian Social Visit Pass), I recently posted about concerns for American applicants due to strict privacy rules prohibiting disclosure of certain financial information. Deciding to rehash Thailand as a real possibility should the Malaysian government reject our application, we reflected on some sights and sounds that proved interesting. Although paltry compared to our adventures trekking to a Hill Tribe village or spending the day as an elephant owner, the fish massages scattered throughout the country stand out. Strolling through Bangkok searching for a Thai Massage, a local suggested we head down a side street but instead of a petite Thai masseuse we found several small studios with fish tanks, towels and shopkeepers poised outside waiting for the next tourist. 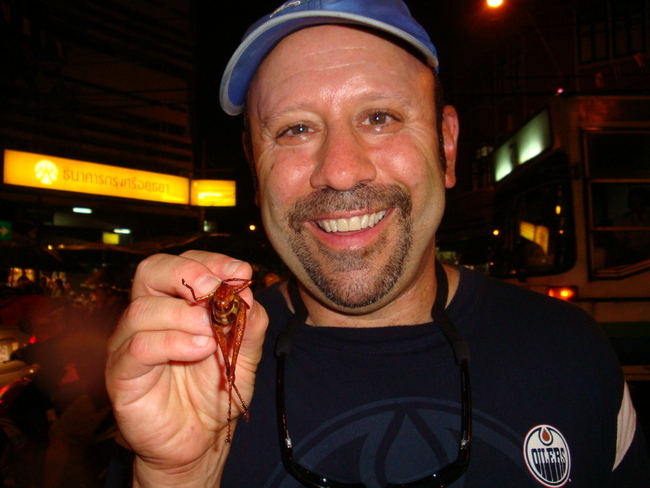 Unfamiliar with this bizarre practice, we figured it couldn’t be any worse than eating bugs for the first time so we pulled out a few Thai Bhat and gave it a shot. This entry was posted in Thailand, Travel and tagged Chaing Mai, Ecuador, expat, expat blog, fish massage, hill people, Malaysia, moving overseas, moving to Malaysia, Northern Thailand, Penang, Southeast Asia, Thailand on November 8, 2014 by rodi (Rob and Diane). Looking back, it’s hard to imagine but they say “time flies when you’re having fun” and today marks the one year anniversary of my unexpected layoff. Recognizing that the odds of unemployed workers in late career successfully re-entering the workforce are slim, the life-changing event was the final straw in our decision to push up early retirement and become overseas expatriates. This entry was posted in My Job Loss, Transition and tagged California, expat, expat blog, expat visa, fitness, job loss, Malaysia, moving overseas, moving to Malaysia, packing, unemployment on November 3, 2014 by rodi (Rob and Diane).